Very often the guests of the capital of Armenia face the problem of accommodation. You do not want to waste time in order to get to the center of the city, tired of second-class hostels and want to have a ready-made solution to this problem? City Centre Hotel Yerevan, among other services, offers all visitors to settle in our cozy and comfortable hotel, which is located in the center of Yerevan, at street Yeznik Koghbatsi 20. From now on, it will not be difficult to get to the center of Yerevan. With just a few steps from the hotel you will find yourself already there. For tourists who are traveling alone, we have a standard single rooms and deluxe Single rooms. 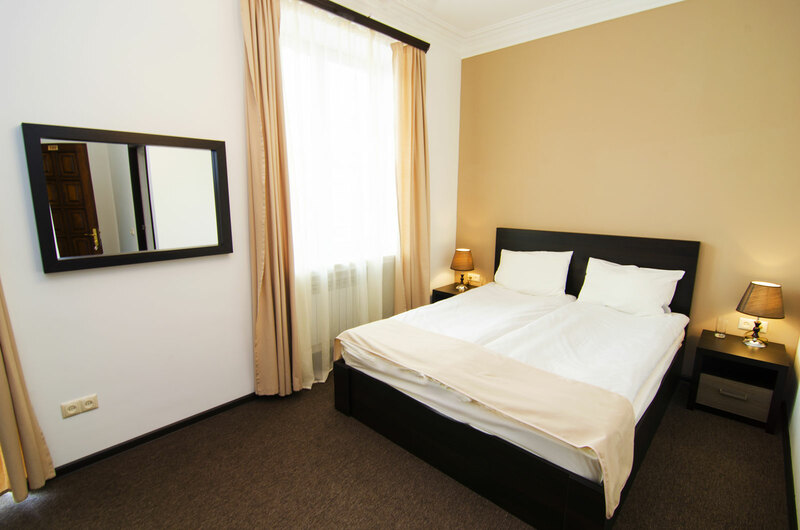 If you are traveling with a company especially for you we offer standard double or twin rooms and deluxe double or twin rooms. We also take care of your family vacation in case if you are traveling with your family. For your convenience, we recommend to settle in our triple rooms with shared bathroom or double rooms with shared bathroom. Wireless Internet access in rooms and public areas of the hotel are free of charge.